The waters around St. John are crystal clear and bright turquoise, making for a gorgeous seascape. Though St. John snorkeling is one of the most popular island activities, St. John kayaking is another option for those wanting to get out on the water. Short of a sailboat or speedboat, this is a great way to see the island from a different perspective along the surrounding bright blue surface. When it comes to St. John kayaking, you will need to know where to rent your kayak, what tours you can go on, and the best places around the island to explore. CimmaronStJohn presents your ultimate guide to all things St. Johns kayaking to answer all your questions! There are several rental options for St. John kayaking around the island. Select your kayak pick-up destination based on what activities you wish to participate in once on the water. Some companies offer specific tours that might grab your attention, while others offer a variety of water gear, from paddleboards to snorkel gear, as well. A favorite place to snag your kayak is Arawak Expeditions St. John, which offers half or full day kayak and snorkel tours. Hidden Reef Eco-Tours is another great option for off the beaten path kayaking tours, sticking to small groups for a more personal experience. Crabby’s Watersports in Coral Bay is a great pop-in one-stop shop for kayaks and snorkeling gear. This is a great place for grabbing gear and going on your very own island St. John kayaking adventure. Bayou St. John kayak rentals are also popular, from junior kayaks to tandem kayaks available for up to two hours of fun at a time. Virgin Island Eco-Tours also offer kayak rentals and tours, including 3-and-5-hour expeditions to different areas around the island. Whatever option you choose, you will be sure to get a great glimpse of just a slice of paradise! Kayak rental companies such as Crabby’s Watersports and Bayou Paddlesports are ideal for self-guided tours around the island. However, many of the other island rental companies offer guided tours that come with an expert tour guide and a bevy of knowledge about specific areas and histories of St. John. Arawak Expeditions offers a full-day Hurricane Hole trip, as well as half-and-full-day tours along different areas of the St. John shoreline. Explore the North Shore by kayak and then follow it up with a snorkel adventure! Virgin Island Eco-tours are known for their St. Johns kayaking tours, which include trips to Caneel Bay and Henley Cay, Annaberg Plantation and Watermelon Cay, and Honeymoon Beach. After your St. John kayaking adventures, come rest it off at your CimmaronStJohn private vacation villa. With locations all over the island, you can pick your ideal retreat. 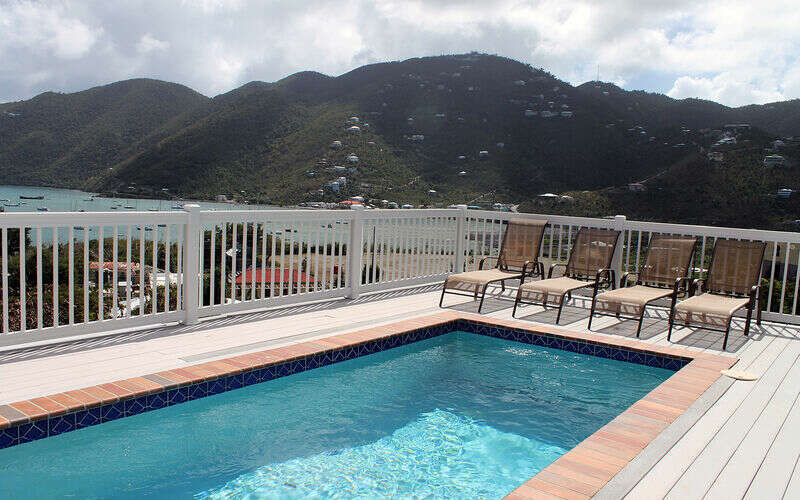 Whether you opt for a gorgeous view, pool and hot tub combination, or gourmet kitchen, we have something for everyone. Make a CimmaronStJohn vacation villa your home base for all your St. John adventures! For more information, visit our website!